They’re movers and shakers. Their contributions have changed and continue to change the nature of travel, both in Canada and around the world. 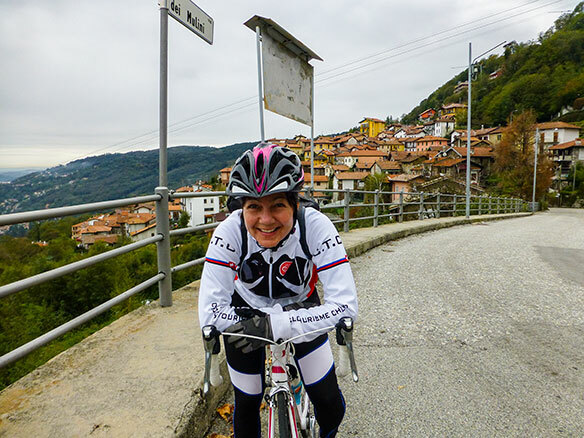 In this week’s issue, Canadian Travel Press’ monthly series of profiles on Women in Travel continues, featuring Trish Sare, the founder and director of BikeHike Adventures. At the moment, Vancouver-based Trish Sare can be found in Argentina, leading BikeHike Adventures’ first trip of the season in Patagonia, on a journey that will take the group on a hike alongside the Viedma Glacier in Los Glaciares National Park, a UNESCO World Heritage Site, and for a cruise on Lake Argentine to view the Upsala Glacier, the largest in South America. Sare, who leads at least one of the company’s trips per year and is on the road another four to five times scouting new trips or destination and attending industry conferences, started to develop a penchant for travel at the request of her mom. After having travelled around the world for several years, all while leading trips across South and Central America and returning home to study tourism in between, Sare eventually headed back to Canada to work for another tour operator, and learn about behind the scenes operations of the industry. Over the years, BikeHike, which caters to outdoor enthusiasts with a passion to go a little deeper during their travels, has grown from just Sare to a team of employees. Although she didn’t realize it at the time, she says the seeds for the company were planted while she was living in Thailand during her first round of travels abroad. Like the company’s tagline suggests, connecting the world through active travel, she says their trips come down to having authentic experiences in the destination. 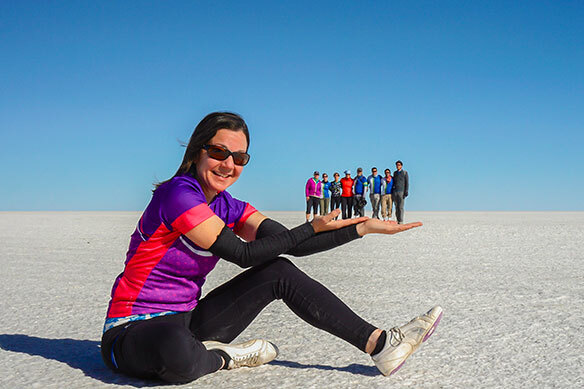 Although she counts being named the second best Biking Company on the Earth by National Geographic Adventure Magazine as the biggest success in BikeHike’s history, Sare says she recently came to see her company in a new light. As such, realizing how launching a successful international adventure company was its own achievement, wound up being another defining career moment. In a role that sees her shift between selling trips, overseeing the company’s finances, directing the design of all itineraries both old and new, meeting the media, scouting new trips, as well as developing and maintaining working relationships with industry colleagues and suppliers, Sare points to a love of people and her entrepreneurial spirit, which dates back to her childhood, having lemonade stands, as well as organizing festivals and fashion shows for the kids in the neighbourhood, as the secrets to her success. Aside from talking to future travellers about the merits of choosing Argentina’s Patagonia once she’s back on Canadian soil, she says the future is all about bringing the guided tour operator to the next level. Do you have any advice to share to women thinking of getting into the industry? 1) Don’t hesitate to start. Just start. Don’t second-guess yourself. In the beginning, I was apparently one of the only, if not the only, woman trying to start an adventure company. But, to be honest, I didn’t even think about it though. I just did it and figured it all out as I went along. So, just jump in. It doesn’t matter how many women are (or aren’t) doing what you want to do. Just do it anyway, and do it your style. Create your own vision and go for it. I could have hesitated or not started at all if I had stopped to think too much about it before starting. 2) The next step is to have a mentor right away to help you as you jump in. It is essential to survival, I think, to have a mentor and also a network of people who inspire, educate and empower you. There is so much to learn from others who are in similar positions, so utilize their knowledge and learn from their mistakes. This was integral to my getting started in the industry. I had a mentor from day one and continue to have a mentor to this day. It doesn’t matter how successful you become, you can always benefit from having someone to help you think through ideas and surrounding yourself with people who inspire you is never a bad thing.